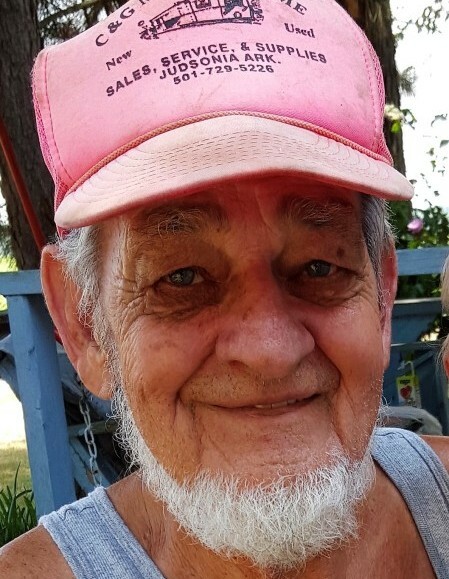 Johnny Doyne Wheetley Jr., 83, passed away December 4, 2018. He was born in Morning Sun, Arkansas on September 6, 1935 to the late J. D. and Willie (Dennis) Wheetley. Doyne was a loving husband, father, grandfather, and friend. He was an outdoorsman who enjoyed fishing, camping, and hunting. Doyne cherished spending time with his grandkids. He was a member of the Baptist faith. He had a joke for everything. He also earned the nickname of Castro. He will be missed by all who knew and loved him. Doyne is survived by his wife of fifty four years; Judy Wheetley, one son; Kennith Damon Wheetley (Catherine), three daughters; Kendra Baumer (Scott), Debra Wheetley Wright (Norman), Cathy Graham (Edwin), one brother; Henry Truman Wheetley (Margie), three sisters; Mary Mckinley, Clara Fletcher, Doris Starbuck, sixteen grandchildren, and twelve great-grandchildren. In addition to his parents Doyne is preceded by two brothers; Franklin D. Wheetley and Marvin Henry Wheetley, one sister; Marie Fletcher.